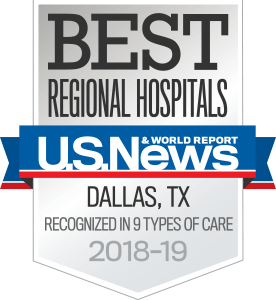 The physical medicine and rehabilitation program at UT Southwestern Monty and Tex Moncrief Medical Center at Fort Worth helps patients achieve the highest possible level of physical, functional, and cognitive independence after an injury or illness. Our goal is to work with patients to strengthen muscles and increase flexibility to alleviate pain and improve quality of life without resorting to surgery or long-term medication. Please bring your current insurance card, a method of payment (we accept checks or debit/credit cards only), all of your most recent relevant imaging (both images and associated radiology reports), and a complete list of your current medications and dosages (including over-the-counter medications, herbs, and vitamins). Images should be brought on a disc in order to be uploaded into our imaging records. It is very important that you do not run out of your medication. Be sure that you have sufficient refills to last until your next appointment with your physiatrist. We are happy to provide you with a written prescription upon request.